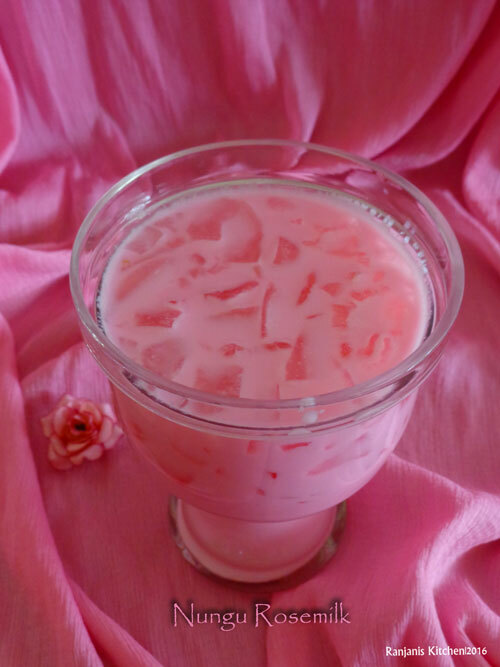 Nungu Rosemilk – a variation to have nungu as it is. I am sure adding this nungu to rosemilk adds extra feather to both. This Nungu dessert is pleasing to look and taste. Hardly it takes 5 mins to make this summer coolant. Nungu is a seasonal fruit available in summer and has high nutrition values. The water inside the nungu is used to treat for skin allergies on summer. 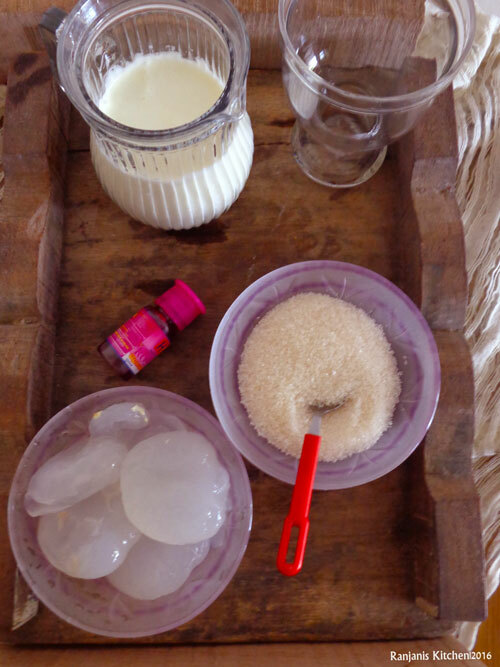 Clean nungu(Ice apple) by removing the outer skin, wash and place in a bowl. 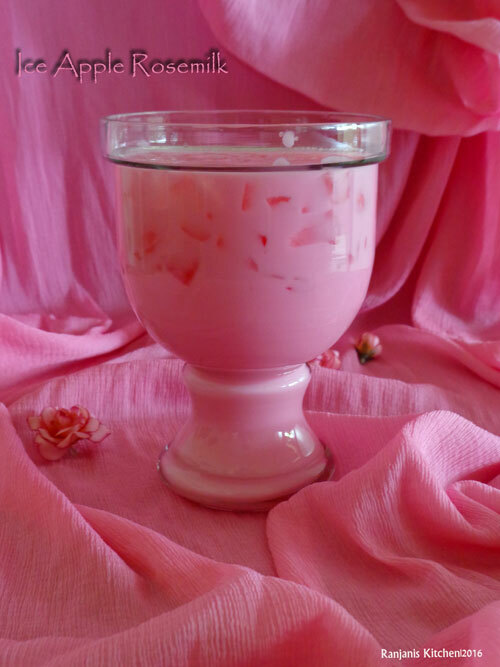 In a jar or wide vessel, mix chilled milk, rose essence and sugar/ honey. Mix well till the sugar dissolves completely. Chop nungu into small pieces and add it to the milk. 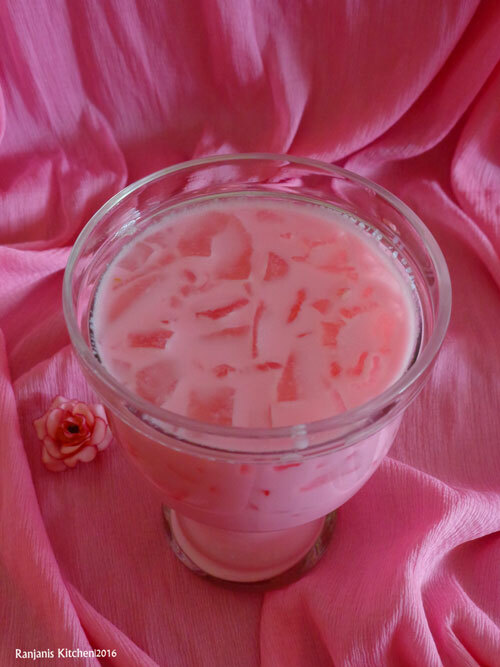 Instead of chopping the nungu, slightly crush and mix in rosemilk. Adjust the sugar or honey as of your taste. Use chilled milk or refrigerate before serving. Hi Ranjani, very colorful to see this recipe. nice photos click. definitely gonna try this.